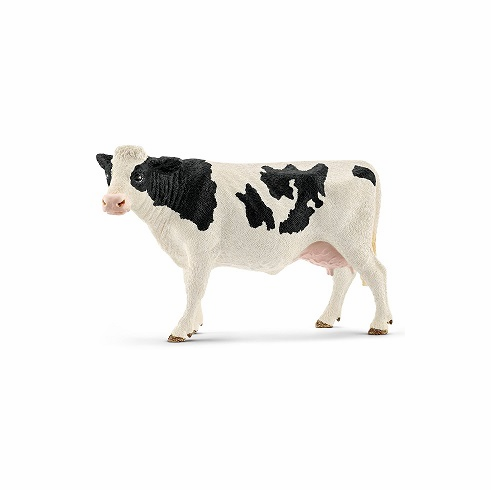 Cows can�t understand human language, but they can distinguish between a friendly and an unfriendly tone of voice. They can also tell from the tone of voice whether someone is serious and sincere. Cows show affection by licking each others� heads, shoulders and backs. If they are separated from their friends, they often get stressed and sad. It�s not difficult for cows to tell each other apart: they have unique voices and scents. In addition, the animals can identify up to 100 faces from their herd and are highly intelligent. Not only can they solve puzzles, but they actually really enjoy them. If they work out how to open a gate with a button, they jump up and down and frolic around. Measures approximately 5 inches long by 3 inches tall.